Visit the official website and click on the HPCET admit card link. Enter the given HPCET registration number. Download and print the displayed HPCET admit card. HPCET 2019 Admit Card is available on the official website of HPTU. Candidate must note that HPCET 2019 admit card is available only on online mode. Official site: The applicants need to download the HPCET 2019 admit card from the official website by filling up the mandatory details. Note: HPTU will not allow The applicants to take the HPCET 2019 entrance exam if the candidate does not carry HPCET 2019 admit card on the examination day. Availability: The applicants who have successfully completed the HPCET 2019 application procedure for HPCET 2019 can check the availability of HPCET admit card from 7th May 2019. 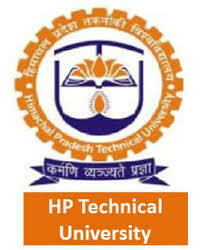 Where: The candidates should visit the official website of Himachal Pradesh Technical University i.e. himtu.ac.in. Link: Click on the link “HPCET-2019 Admit Card”. Candidate's Details: After clicking the link a page will appear, where the candidate has to fill Form no. or Candidate's Name and HPCET 2019 Programme name (selected by the candidate in HPCET 2019 application form). Application number: Fill up the HPCET 2019 Application number you got during registration and click on "Find Admit Card" button. Admit Card: Candidate's HPCET 2019 admit card will appear on the screen with all the details mentioned, provided by you during the process of application. Print & Preserve: Now Download the HPCET 2019 Admit card and take a printout. Alert: It is important that candidates complete the HPCET 2019 application process, failing which, they will not get the admit card. Details: The HPCET 2019 admit card contains details and instructions regarding the exam. Verification: It is essential that candidates verify the details on the HPCET 2019 admit card. Authentication: Authentication of the details on the HPCET 2019 admit card is essential. Reporting: Any discrepancies in the HPCET 2019 admit card should be reported to the exam conducting body immediately. Proof: A downloaded copy of the HPCET 2019 admit card will be considered as valid. Preserve: Candidates must preserve the HPCET 2019 admit card until the admission process is over for the purpose of verification. Note: It is advisable that candidates have a few extra copies of the HPCET admit card. In case of loss, the candidate can use other copies. Plagiarizing: Plagiarizing the HPCET 2019 admit card is a punishable offence. Fines: Action will be taken against any candidate found to be tampering with the HPCET 2019 admit card. Alert: If a HPCET 2019 admit card is found to be tampered with, the candidate might be barred from writing the exam. Discrepancies: Candidates must check all the information on HPCET 2019 Admit Card. In case of any discrepancies, the candidate should contact the conducting body which is mentioned below. What are the important details of the Admit card for the HPCET 2017? Availing the Admit Card: Candidates will haven to visit the official website (http://www.himtu.ac.in/) and download the Admit Card. It is advisable that candidates have copies of the same in case a candidate loses his/her admit card. Details on the Admit Card: The Admit Card contains details such as the Candidates name, registration number and the date and time of the examination. The Admit Card for HPCET 2017 also contains instructions that the candidate must follow in the examination hall. Admit Card to HPCET 2017: The admit Card is an important document and candidates are advised to carry the admit card to the HPCET 2017 examination. Candidates failing to provide their Admit Card during the examination, will not be allowed to give the exam. Plagiarizing the HPCET admit card is a punishable offense, action will be taken against any candidate found to be tampering with the HPCET admit card. If an HPCET admits card is found to be tampered with, the candidate might be barred from writing the HPCET 2017 exam. May I know where I can get the Admit Card of HPCET 2017? The applicants need to download the HPCET admit card from the official website by filling up the mandatory details. The applicants who have successfully completed the HPCET application procedure for HPCET-2017 can check the availability of HPCET admit card from the month of May 2017.